December 31st is one of my absolute favorite days, or rather, nights of the year. It's New Year's Eve's no-holds-barred-get-glam-and-be-edgy style that I just love to love. And this year is no different. I've scoured Spring runway looks because if there's a night I can wear runway hair and makeup it's tomorrow! I've got some great ideas and I've pulled together some of glo's fabulous hues to take me fearlessly from 2009 to 2010. For my eyes, I'm definitely starting with gloLid primer (no girl wants a NYE eye shadow look to end up under her eyes before the ball drops.) I'm also addicted to gloCream eyeliner, which I think I'll use in sapphire for a night like this. 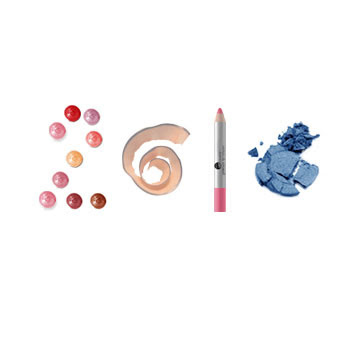 One gloEye shadow shade I'm also throwing in is mermaid - it has just the dazzle factor a new year's night craves. What are y'all wearing out to greet 2010?